Love this MONNALISA Mommy & Me Disney Donald Duck Shirt & Blue Tulle Skirt. 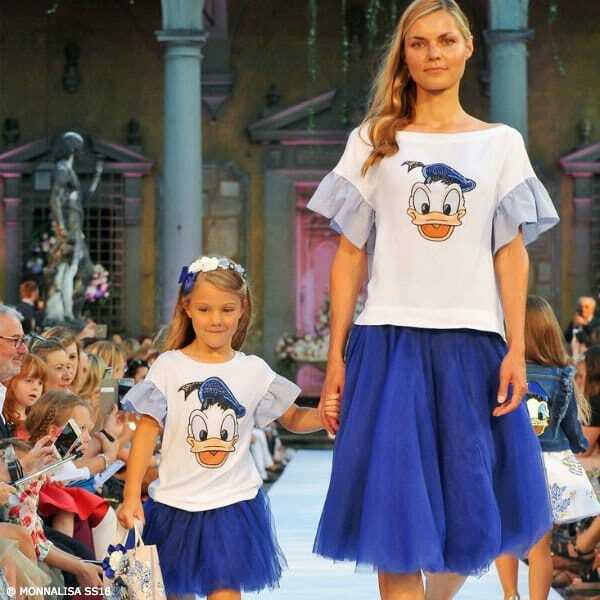 Featured on the runway at Pitti Bimbo Kids Fashion Week in Italy, this white Disney T-shirt by Monnalisa Bimba has an embellished with sparkling diamanté Donald Duck print and ruffled sleeves for an up-to-the-minute look. Looks perfect with this MONNALISA BIMBA Girls Blue Tulle Skirt Perfect for a special party look this Spring Summer 2018.